The Vivid Session utilizes our proprietary V.I.V.I.D.™ Model for Growth & Development and is intended for exploration, instruction, and analysis of what concerns you most. Though the specific takeaways cannot be guaranteed, our goal is that you leave with more clarity, tangible next steps, and more clarity for action. Our proprietary V.I.V.I.D.™ Model is rooted in timeless, spiritual principles. We use it to help you and your team uncover the ideal strategy for reaching your growth objectives. 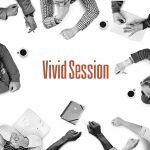 Though usually conducted in half or full day blocks, the Vivid Session is being offered as a 1-hour option for Blossoming Vines Ministries Branding Workshop attendees. The Vivid Session is intended for exploration, instruction, and analysis of what concerns you most. Though the specific takeaways cannot be guaranteed, our goal is that you leave with more clarity, tangible next steps, and more clarity for action.